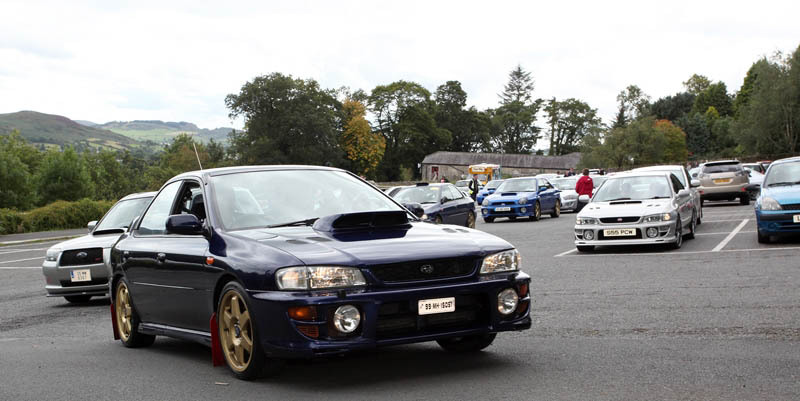 The Colin McRae Charity Run take part on Saturday, September 16 organised by a group of local Subaru enthusiasts, and supported by Subaru Northern Ireland and Subaru Ireland. Now in its third year the event is a tribute to the late, great Colin McRae – on the tenth anniversary of Colin’s tragic loss, the event plans to celebrate his many motorsport achievements and keep his name and legacy very much alive. The event starts from Eastwood Motors Subaru in Lisburn, and ends at Nearys Subaru in Lusk, Co Dublin. Registration is from 10am with family activities such as a Superhero kids meet and greet area, BBQ, bouncy castle, prize raffle, and refreshments as well as a Subaru heritage display and a hyperformance Subaru BRZ V8 conversion by local engineering specialists Momentum Tuning. An estimated 150 Subarus from across the UK and Ireland are expected, with spectators welcomed at the start/finishes. The run departs from Lisburn at 13:00 taking a scenic route through Northern Ireland with a planned rest stop before finishing in Lusk Co Dublin at 18:00 with more family fun, prizes and refreshments. All proceeds are in aid of Angel Wishes, a local registered charity that aims to make desperately ill childrens’ dreams come true. There will be lots of prize giveaways – Subaru NI has donated mens & ladies jackets and Subaru goody bags with assorted branded bits and bobs. Subaru Ireland has donated an autographed Dublin GAA team shirt, Mike Ross signed IRFU rugby ball and Subaru Ireland branded paddock jackets. All participants receive a goody bag at the start, with a coveted Concours D’Elegance Trophy going to the “Best Subaru” entrant on the day. Drivers can pre-register at “Just Giving – NI Subaru Run” or e.mail the Organiser Joanne Derby-Murray direct at nisubaru555@gmail.com.